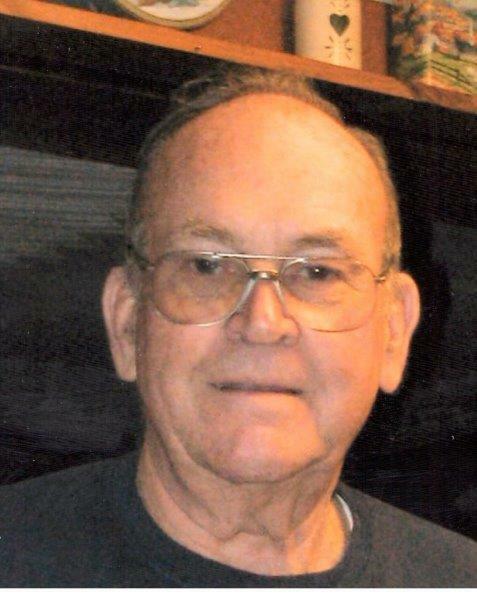 Walter C. Woodman, 86, of Bellingham, where he has lived his whole life, went to be with the Lord, Tuesday, May 26, 2015 at the Boston Medical Center, surrounded by his loving family. Born in Bellingham, he was the son of the late James and Laura (Corbett) Woodman, and attended the Bellingham schools. Loving husband of 65 years to Dorothy M. (Harroun) Woodman, he was a master carpenter, and retired in 1994 from Franklin Lumber. He had served in the Merchant Marines before enlisting in the Marine Corps during WWII. He served on the board of trustees at the First Baptist Church in Bellingham for many years as well as serving on the board of trustees at the Union Cemetery in Bellingham. He had also served as the Union Cemetery caretaker until 2014. A member of Excelsior Lodge, A.F. & A.M. in Franklin, he was an avid Boston sports fan, outdoorsman, and loved gardening, his family, and a good game of cribbage. He was the father of Karen Benoit and her husband Dennis of So. Carolina, Wendy DePaolo and her husband Stephen of Bellingham, Faith Paradiso and her husband Michael of Mendon, Robin Oakley and her husband Roger of Bellingham, and Lori Brien and her husband Peter of Bellingham. Brother of , Laura Lemek-Strojny of RI, Florence Matos of Milford, and the late Joseph, Wilbur, Edward, Henry, and Charles Woodman, and Viola White. He is also survived by 9 grandchildren, 7 great-grandchildren, and his cat Angel. His Funeral Service will be held on Monday, June 1, 2015 at 11 A.M. at the First Baptist Church of Bellingham, Mechanic St., Bellingham Center, followed by burial in the Union Cemetery in Bellingham. Calling hours will be held Sunday from 2 to 5 P.M. the Consigli-Ruggerio Funeral Home, 46 Water Street. Milford, MA. In lieu of flowers, contributions in his memory may be made to the Union Cemetery, Perpetual Care Fund, and P.O. Box 156, Bellingham, MA 02019. The greatest gift I ever had, a gift from God I call him Dad. Daddy my heart is broken. You are and always will be my hero. I will see you in Heaven. I love you to the moon and back! Karen and her family, I don't know how to express my sympathy for you. Please realize that I do understand the loss of a parent. They have always been there for you in good times and bad. They love you unconditionally. Just remember, if you believe, someday you will be together again. God bless all of you and may he give you strength now and in the future. Dottie, lori, and family , Dennis and i will miss your dad so much . He always had a smile on his face when we saw him. Im sure he still has a smile on his face now that he is with the Lord looking down on you all. If you need anything please dont hesitate to ask we love you all. GOD BLESS YOU and Lift you at this time. Love Ann and Dennis Perkins. Karen, Dennis & family - Even poets lose words at times like this - so just know you are all in our thoughts. Remember the good times and peace be with you during this trying time. My dear friend Karen, I am so sorry that you are grieving the loss of your loving father. I know how much you loved him. I remember the story of your fishing adventure, dropping the pole and your daddy hanging you upside down to reach for it. He sounds like he was a funny, kind, and humble man from the things you have told me. We should be so thankful that God gave us such wonderful fathers. Take comfort in knowing that the time we spend in this earthly life, with all of it's suffering, is like a blink of an eye compared to eternity with our Lord and with our dear fathers. Much love to you, Dennis, Jason and Bethany. Dottie & Family, I am so sorry for your loss. I feel privileged to have known such a great man. Thank you for sharing him.